In modern times it seems quite incredible as back in the 40’s and 50 rose walk Doña Isabel from the coast of Los Abrigos to San Miguel, Granadilla or Vilaflor.emprendia this charged journey with your basket on the head, on trails that ran between balos, ulagas, spurges and tosca. Each day rose to change for other foods that gave the land, fish that her husband Don Jose had picked up in this small fishing village of name the Abrigos.Esta fishing tradition has kept until today Juan José, son of Doña Isabel and Don José and owner of the restaurant “Los Abrigos”. Renewed tradition, since early 1990s and seeing the difficulties to sell fresh fish on a daily basis, decided to give out creating the restaurant “Los Abrigos”. Open since 1991, the restaurant is located on the former home of his parents, Isabel and Joseph, from which can enjoy a wonderful panoramic dock and of the moored boats of fishing there. 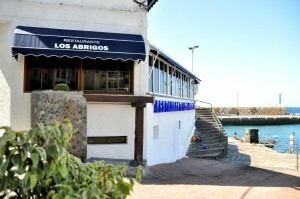 Fresh fish and seafood with its hallmark of, pointing to the restaurant “Los Abrigos” as one of the best restaurants of the island of Tenerife, as thus Awards endorse it obtained for its quality and services provided by Hecansa (hotels Canary Islands school) company of the Government of the Canary Islands. The dining room can accommodate about 80 people, more a reserved for 50 people. All of them will always be well advised by the restaurant staff, obtaining the maximum quality and freshness of the product offered. An important detail is that all dishes are prepared in view of Diners, since the kitchen is integrated in the restaurant there is no physical barrier that prevents us to appreciate the making of them. In short, that we cannot say that Tenerife know well if it has not enjoyed a meal at this restaurant and its privileged environment.